Click in image to zoom in. Image source: NASA Earth from Space image gallery. Learn more about this image. Images produced by Switzerland from Space are in the public domain and may be used in any manner without permission, restriction, attribution, or compensation. 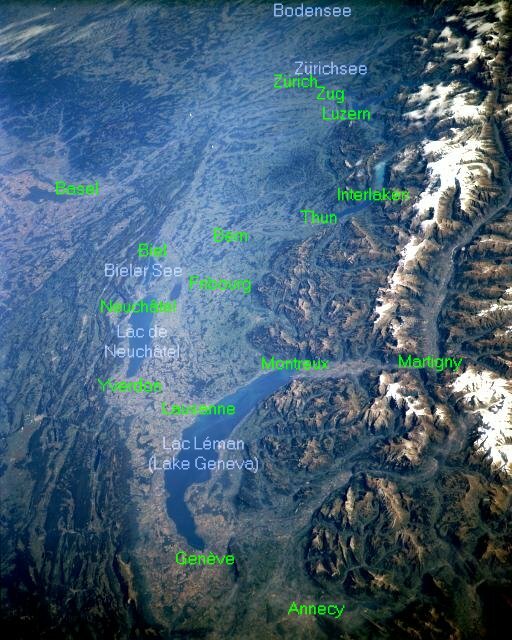 Back links to Switzerland from Space are welcome.